This installation features a complete few-cycle high-energy femtosecond system with a TiF series solid-state seed oscillator, REUS Ti:S regenerative single-stage amplifier (1 kHz, 3 mJ, 35 fs) and Compulse-800 hollow-fiber compressor that provides <10-fs, 500-uJ few-cycle pulses at 1 kHz. 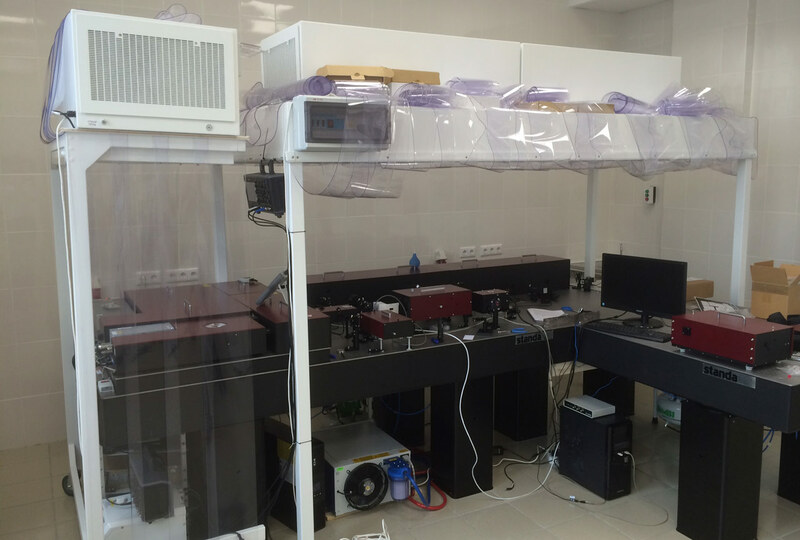 The setup is also equipped with the ASP high-resolution laser spectrometer units, the SPIDER spectral phase measurement system for hollow-fiber output characterization. 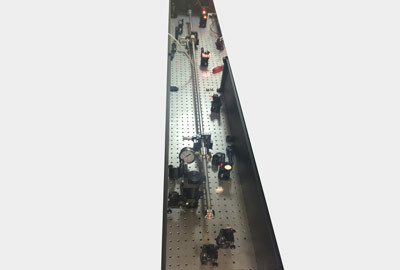 The pulse duration measurement tools also include the ASF series single-shot autocorrelator for the amplifier stage, as well as the AA-DD series scanning autocorrelator unit. Wavelength conversion options feature the ATsG-A harmonic generator unit. Hollow fiber pulse compressors are used to shorten the pulse duration of near transform-limited output of Ti:S and Yb-doped commercial amplifiers via spectrum broadening and chirping of the input pulse with subsequent re-compression.